An estimated 4.4% of adults in the United States experience bipolar disorder at some point in their lives, according to the National Institute of Mental Health. But what does it mean to be bipolar, and what can you expect if you or a loved one is faced with this diagnosis? Bipolar disorder – formerly called manic depression – includes both the emotional highs of mania or hypomania, and the lows of depression. 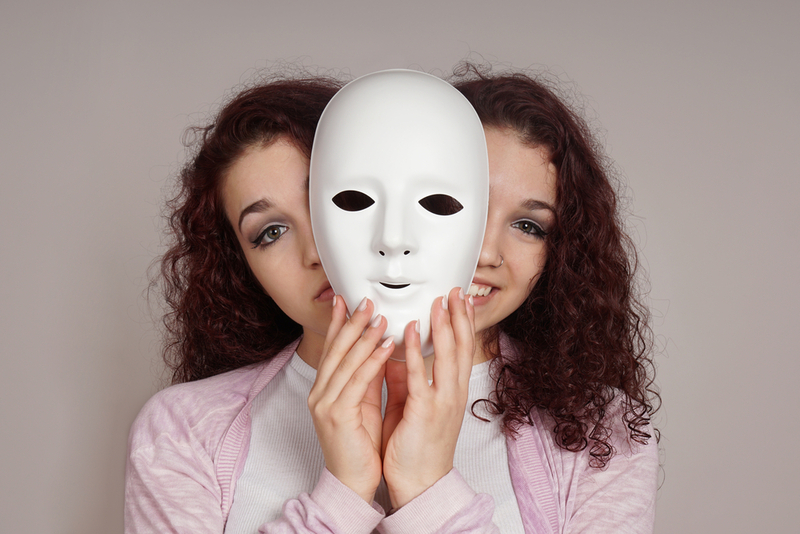 While the cause of bipolar disorder is unknown – though it appears to be influenced by genetics and brain changes – four basic types of the condition exist, and all involve mood shifts from up to down and back. It’s not unusual for people with bipolar disorder to swing between depression and manic symptoms several times a year, though sometimes mood episodes are spaced far apart. Bipolar disorder is a lifelong condition, but the ways it may affect patients are as individual as the patients themselves. Intense emotions are part of bipolar disorder, and changes in sleep patterns and activity levels are also involved. What signs and symptoms should you watch for? 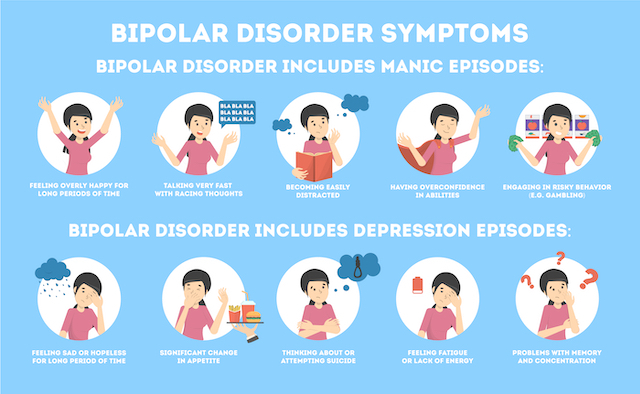 Although symptoms of various types of bipolar disorder may also include other features – such as psychosis, a sense of melancholy or anxious distress – most cases of the condition are marked by a combination of symptoms ranging from manic to depressive. Don’t try ‘just living with it’ if you or a loved one is experiencing extreme mood swings – seeing a doctor is vital. If bipolar disorder isn’t treated, it can lead to serious problems in patients’ day-to-day lives. These can include drug and alcohol abuse, legal or financial problems, poor work or school performance, relationship problems, and even suicide or suicide attempts. But there’s usually no reason someone with bipolar disorder can’t lead a healthy and fulfilling life. After going through a health evaluation, your doctor can help you seek treatment that can even out your moods and make life better again. There’s no cure for bipolar disorder, but with a variety of ways to manage it, the condition doesn’t have to define you. Menlo Park Psychiatry & Sleep Medicine is located in Menlo Park, California. Alex Dimitriu, MD, is dual board-certified in psychiatry and sleep medicine. He is the founder of Menlo Park Psychiatry & Sleep Medicine.